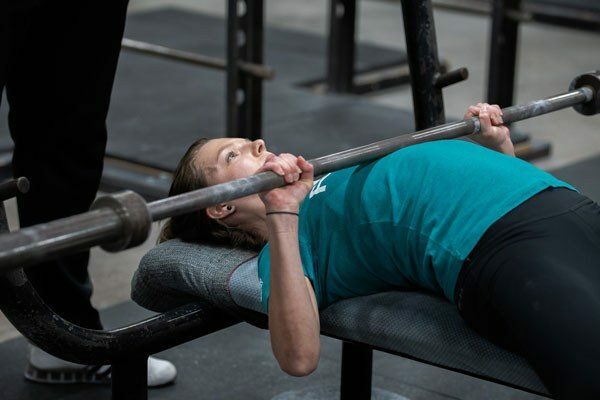 The bench is a full-body lift and an excellent exercise to help people understand how to stabilize the shoulders. It is not just a lying-down press, although it looks like it might be – just lie down on the bench, grab the bar and start benching, right? 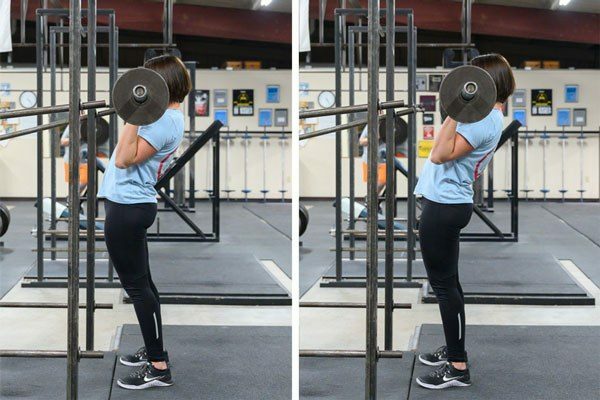 As a coach in a female-only facility, I find myself commonly addressing a problem seen in my lifters – lower back overextension. This is due to a lack of abdominal strength and a natural proclivity to extension. A common problem with the press is confusing hips-forward with leaning back. 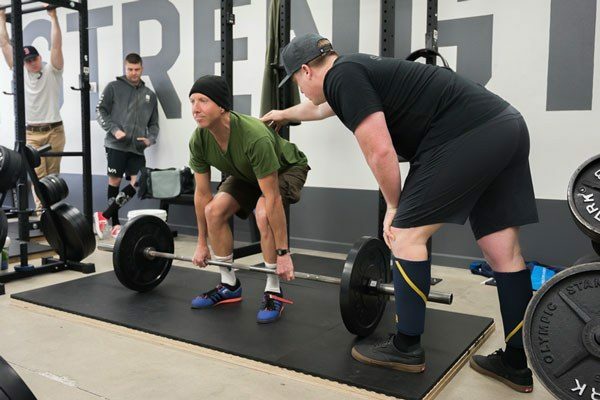 Both of them will get the head of of the way and initiate a rebound, but leaning back will make the bar rebound forward of the shoulder, rather than up and backward as desired. For reasons I cannot understand, our recommended eye gaze direction for the squat – looking down at the floor in front of you – is controversial. This is odd, because looking up at the ceiling (apparently the Right Thing To Do) results in your neck being placed in extreme overextension. 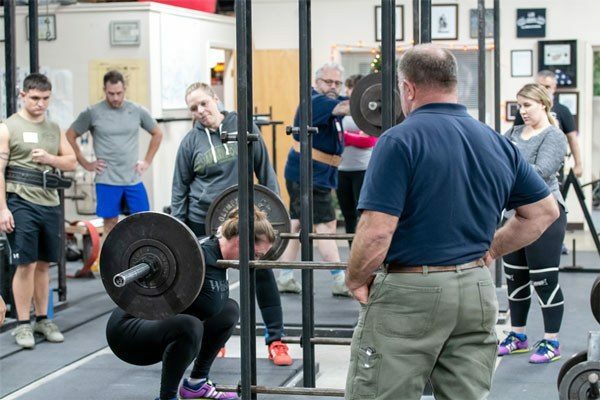 Mark Rippetoe coaches attendees at a Starting Strength Seminar during the squat platform session.